An amazing hypnotherapy program to end your struggle with weight and health. Learn the most important thing you need to lose weight and feel great! 1000's of my clients love this program. With 30 hypnotherapy sessions, you will have a transformation of your body, your mind and your soul. The changes are about weight and nutrition, and even more about ending the struggle, feeling strong and having a new deep identity. Relax, take a few deep breaths and let my voice guide you. I will gently lead you to a new feeling about food, creating a love for healthy and nutritious foods. You will let go of old fears or negative beliefs and emerge as a healthy, strong being! So much of your hunger is about your triggers in your mind. Your brain does not feel full because you ate too fast, did not pay attention to the food and continued to tell yourself that you are hungry. We will turn off the hunger switch, get you to love to eat slow and enjoy releasing the weight and feeling REALLY good! How good will you feel when you could wake up tomorrow, feeling in control around food? Are you ready to end your hunger, your sugar cravings and binging? Is it time for you to stop your self sabotage and destructive eating habits? Your mind has the power to make these changes! The amazing Zen of Thin program will change everything. Hypnotherapy will find your deepest issues and release them. You will love to exercise, you will crave healthy foods and feel great. You will be doing therapy in EIGHT powerful aspects of weight, all in your subconscious mind. ~~~ The core Eight video sessions will teach you how and why hypnotherapy will change you deepest food issues. Watch the videos, and learn about the real reasons you have internal struggle and discover the powerful role the subconscious mind plays. 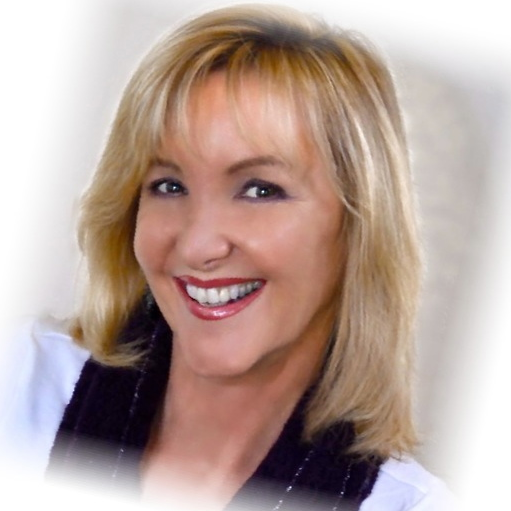 ~~~ You will experience huge shifts in your life with over 30 Hypnosis sessions. ~~~ The Zen of Thin Journal Book will guide you along in your discovery of the inner you. You will be writing, celebrating, releasing the past and realizing who you really are in this new healthy mind and body. The therapy sessions are full length, all created and recorded by Wendi Friesen, the most loved and trusted Hypnotherapist in the world. This session will teach you how important it is to talk to your body with the right words to get the results that you want. One thing that I notice with most of my clients, is the way that they are programming themselves for failure. They don't even realize that their words are like hypnotic suggestions that actually reinforce failure! This is one of the first things that must change if you are going to succeed. You will understand the power of your inner voice after listening to this session. This session will reduce your appetite and put you back in control. This session works almost instantly. You will feel positive and focused, and easily turn down those fattening and sugary foods. Many people tell me that this one make it all easy! Enjoy this meditation session as you fall asleep. Your mind will absorb the suggestions and reinforce your Phase One experience. This will change the way every cell in your body thinks about food. Stay alert and AWARE of what is happening during the Appetite Zapper session. You need to mentally participate in the session to create the mechanism in your brain that is going to regulate appetite and cravings. This hypnosis session uses a unique method of creating an internal (and unconscious) mechanism that makes food choices for you. Without a thought you will find that your appetite has changed. This sugar blaster is a hypnosis session that you use while your eyes are open, and while you are doing other things. Of course, most hypnosis is done with eyes closed while you are in your happy place, this one is different. Tonight you will enjoy a night of sweet thoughts that will be the stuff that dreams are made of. The words I use to describe sweet things will change the way your mind feels about sugar, candy and desserts. And while you dream and sleep your mind will decide that sugary foods are just not at all appealing to you. You will begin to think about the sweet things you have in your life, the smiles, the friends, the peaceful walks, the music that sweetens your day and much more. Use all of your senses to enjoy life’s sweet treasures.. This is the big Self Sabotage session will help you find out why you sabotage your diet and willpower. There is often a PART of us that wants to lose the weight and a PART of us that needs to use weight as a CONTROL issue, or to protect us in some way. When these parts are in CONFLICT the internal struggle can be intense. It leaves you feeling powerless and helpless. Once the PARTS are resolved and working in harmony, the mind can easily be trained to love nutritious healthy foods and to have a healthy lifestyle, not just another diet. that is peaceful and productive. Since you are sleeping, and your mind is looking for something to do, you might as well give it some direction and guidance. The parts that you discovered have conflicts and these conflicts not only create the tremendous self sabotage within you, but they also make you tired and hopeless. As you sleep you will begin to find resolution. This session is my favorite. You really will be eager and excited to exercise. You will feel excitement and joy whenever you think about working out, and you will teach your body to crave movement and become strong and lean. Use this in the morning or at night as you are falling asleep. Make sure you are aware of the visualizations and the way that they apply to specific muscle groups. You need to have an awareness of what muscle group you are working and a connection from your mind to that muscle to make the increase happen. This process will change your body's set point for your weight... this can be a real breakthrough. This session actually takes your mind into the future to create a new maximum set point at each point in your future. Your mind will continually adjust and adapt your body to follow these new maximum set points for weight. You will be creating the belief in your future that you are becoming slimmer and healthier, the fat dropping off and experience yourself in your healthy beautiful body. This interesting hypnotherapy session will change your internal image of your body, so your subconscious mind will accept your new shape. I think this helps to prevent you from gaining the weight back. If you feel lazy, tired or sluggish, you need this session. Hypnosis might actually increase the rate at which your body burns fat. You will probably feel your energy level rise and notice a change in your mental focus. More energy means more fun and more focus. Visit a temple in your mind that has great wisdom. Meet your guru who will hypnotically guide you to answers to your difficult questions. This is a beautiful experience that takes you into the most blissful place to find wisdom and answers in a higher realm. You will feel a sense of peace and ease each time you listen to this session. You will LOVE your Temple of Wisdom!! This is a spiritual journey that can have many different effects. Find out what it means for you personally to take your journey to the source of wisdom and to listen to the wisdom of your higher self. This tape is also great when you are feeling stressed or out of control, and need a break. Some of my clients tell me that this session feels like a new journey every time they use it. New wisdom and lessons are learned every time! This is a spiritual journey that can have many different effects. Find out what it means for you personally to take a journey to the source of wisdom and knowledge, and to listen to the wisdom of your higher self. What would it be like to feel the urge to say YES to yourself whenever you think about working out? This YES session will create a life force of unstoppable desire to work out. Sound good? This one is for sleep tonight. It will make you unstoppable and sleep like a champ! One of the most important aspects of weight loss, and any change you are trying to make in your life. . Stop beating yourself up and start saying the things that your mind wants to hear. Be your most supportive friend as you use the words that make you stronger. The unique thing about this session is that it makes the change in your subconscious mind, so you stop your negative words before they even get to your conscious awareness. How cool is that! Our conflicts between what is true and what is untrue are at battle within ourselves. The battle continues on an unconscious level without your knowledge. When you are in integrity with what you say, how you feel and what you say you feel, you can flow smoothly through your day feeling the best you have ever felt. session will remind your inner mind to change the voice to a positive and peaceful one. to take away from it. This makes your identity change and allows you to succeed in areas of your life where you were feeling stuck. The timeline journey is also a great way to release depression, anger, and frustration. When you start to use it you will be able to feel some really great shifts. As you go into the future timeline you will take those new resources with you and experience an entirely new way of thinking. When you change the emotional content of the past events, the future events change. You can use this for almost any issue that you have that might be holding you back. Each time you venture into your future timeline you will have a new experience. In this session you will find the specific health issue that you want to change and use this as the topic of your Vibrant Health Timeline. You are going to be unstoppable, ya know? If you need a shot of confidence and power, this is the way, the truth and the light. You might just tingle all over with this journey of loving yourself up and down. Resolutions are often met with failure, and if you make new resolutions year after year you might have a belief in your mind that resolutions always fail. This time you are going to do something a little different with these resolutions. Next on your TO DO list is an integrity check. To be honest with yourself is one of the most valuable insights you can have. Changing things about yourself can be hard if you are not honest about what you feel or think. This sessions will help you to find your own personal truth and value the relationship you have with yourself. These are short, only 3-4 minutes. You feel a little hungry, emotional, unsettled or just need a good hard nudge. I you have used the conditioning session, you will just need to take 3 minutes to close your eyes, listen, let go and instantly change your state of mind and reset your body. Eat healthy food, love your food, feel full and happy. Deep sessions that embed your love of exercise. Here's what is in the program. Phase 8- Self Talk, Read ME! What is Hypnosis, how does it work? Was $149. Now a great lower price, includes the entire program.